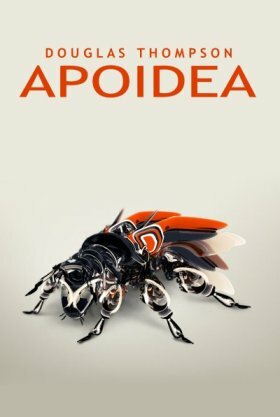 Los Angles Times, May 2, 2013 -- Harvard scientists have introduced what may be the cutest flying robots ever: a bio-inspired insect-sized aircraft dubbed RoboBee that pushes flight-worthy craft into their smallest wings yet. 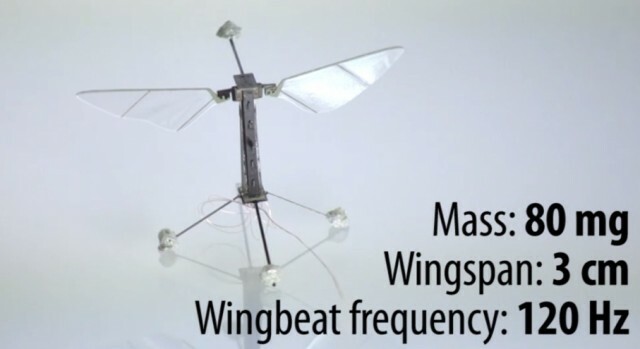 “To our knowledge this is the smallest flying robot so far,” said Pakpong Chirarattananon, co-lead of the paper in Science describing the 80-milligram robot with a 3-centimeter wingspan that’s hardly bigger than a penny. 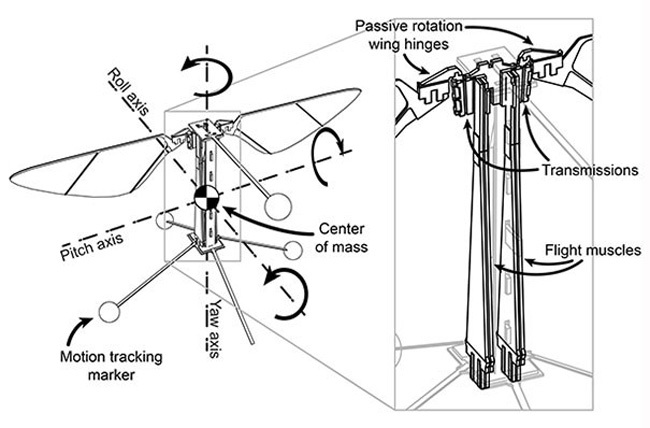 Building such a tiny flying robot required marshaling an enormous amount of ingenuity -- and several engineering breakthroughs -- to overcome the challenges of working on the sub-millimeter level. Nuts and bolts prove unmanageable, and turbulence becomes a much bigger issue on such a small scale. The researchers came up with a way to build the robots by tracing out patterns in flat sheets and then folding them into the desired shape. This approach allowed them to use different materials in sheets that they could glue together with relative ease. 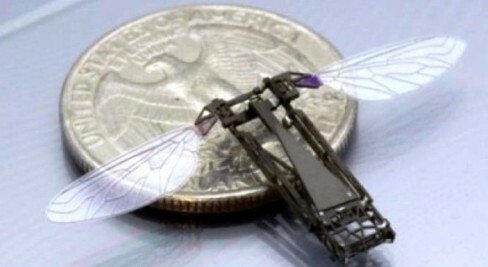 The researchers had to build their own "muscles" for the tiny robotic bug. They came up with a tiny piezoelectric actuator -- thin ceramic strips that squeeze when a current is run through them, allowing the aircraft to flap its wings at 120 times per second. The robots still don’t have their own brains -- even cellphone-sized microchips are too big for them -- and they don’t have their own power source. The tiny bugs had to be tethered with tiny power cords and they lasted about 10 to 15 minutes before the hinges on their wings gave out. 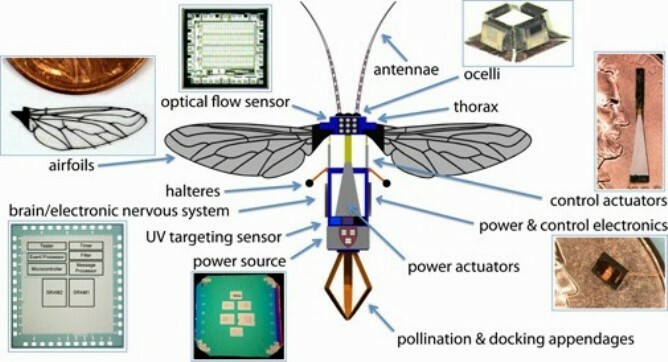 But once scientists come up with a way to give the bugs their own brains and energy source, such robo-flies could become very useful as tiny search-and-rescue vehicles inside buildings, Chirarattananon said, and perhaps even handy to help pollinate plants as colony collapse disorder continues to plague honeybee hives. What is Colony Collaspe Disorder of the real honeybee? Colony collapse disorder (CCD) is a phenomenon in which worker bees from a beehive colony abruptly disappear. 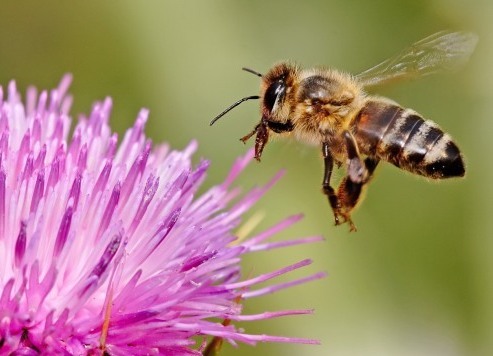 The syndrome was named colony collapse disorder in late 2006 in conjunction with a drastic rise in the number of disappearances of Western honeybee colonies in North America. The growth in the use of neonicotinoid pesticides has paralleled rising bee deaths since 2005. In 2012, several independent studies were published showing that neonicotinoids were exposed to bees through dust, pollen, and nectar; that sub-nanogram toxicity resulted in failure to return to the hive without immediate lethality. Colony collapse is significant because many agricultural crops worldwide are pollinated by European honey bees. In April 2013 the European Union announced plans to restrict the use of certain pesticides to stop bee populations from declining further and by the end of the month passed legislation which banned the use of several neonicotinoids for the following two years. Why hasn’t America banned these pesticides? If there are no pollinators, there is no food.